The short answer, yes it will. In many cases, Filing an Emergency Bankruptcy is considered the first act in foreclosure defense. While being potentially cumbersome to a home owners lifestyle; chapter 13 or chapter 7 bankruptcy are not the only ways to avoid a foreclosure sale from happening in the case of a defaulted loan. Watch this video for information on how to get free bankruptcy documents and information about a little known bankruptcy secrete and controlling case law that you could use to get clear and free title to your home using the bankruptcy courts. Bankruptcy Process in a Nutshell. First, we are going to take a look into the bankruptcy Process. Then, we are going to show you how Fraud Stoppers’ Private Members are filing there own bankruptcies for free without a lawyer, and only paying filing cost. Throughout this process, many our private members quickly understand why bankruptcy may not be the best option stop foreclosure. If you feel like this may be you, have a look at the Fraud Stoppers foreclosure defense strategies, and find the solution that best suits you. Bank issued Notice of Default. Once your Mortgage lender has taken the first step in legal foreclosure process, providing you with a notice of default. They are informing you on there intent to foreclosure, and its import to assess your situation with your ideal goal in mind. Keep in mind, Bankruptcy isn’t for everyone and it wont always save your home. In more cases than not, it’s is most effective when used as a piece of an overall foreclosure defense strategy, opposed to being the solution itself. Selecting the right type of bankruptcy is essential to it serving its purpose in your foreclosure defense. Choosing between the popular chapter 13 and chapter 7 bankruptcies; and the new hybrid chapter 20 bankruptcy can be a challenge. 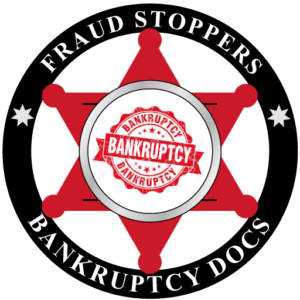 Fraud Stoppers PMA has a resource online highlighting the major differences between a chapter 13 and chapter 7 bankruptcy. Both types of bankruptcy are better filed before a foreclosure sale has been scheduled. If you are still in default, it can do either one of two things. 2. Create a path towards repaying overdue payments while also continuing to make payments on the participial and interest by means of consolidated payments. This is typically the process when filling a chapter 13 bankruptcy. This may sound like a trap, but unlike the chapter 7 it is less of a means to an end. The result, the order of relief that gets filed by the courts as a response has a higher chance of of being sustained. Chapter 13 bankruptcies have a higher chance of putting a stop foreclosure while keeping the homeowner in the home for a longer period of time. If you have made it to the end of this bankruptcy process overview and feel disappointed in your options. Don’t worry, there are plenty of other resources out there for homeowners facing foreclosure, with favorable results. By joining Fraud Stoppers PMA you get access to numerous legal documents and resources that help homeowners, even those with little to no legal experience, began the fight to save their home from foreclosure. Learn how to file your own loan modifications, bankruptcies, and retraining orders than can temporarily stop a foreclosure sale and give you the opportunity to find fraud within your loan to sue your mortgage lender in court for damages. Need to stop a foreclosure sale? Private Membership has its Perks! If you need to stop a foreclosure sale fast, or you need to stop an eviction filing bankruptcy could be an effective foreclosure defense strategy to use. Fraud Stoppers has a proven way to help you save time and money filing bankruptcy. Eliminate or restructure your mortgage loan payments and save your house from foreclosure. Save time and money and file Pro se or file with the help of a professional bankruptcy attorney. Our EXCLUSIVE Documents and insider information and court cases that reveal how to list your property as unsecured debt in your bankruptcy for free and clear title to your home. Get all this and more by joining Fraud Stoppers Private Members Association for just $250.